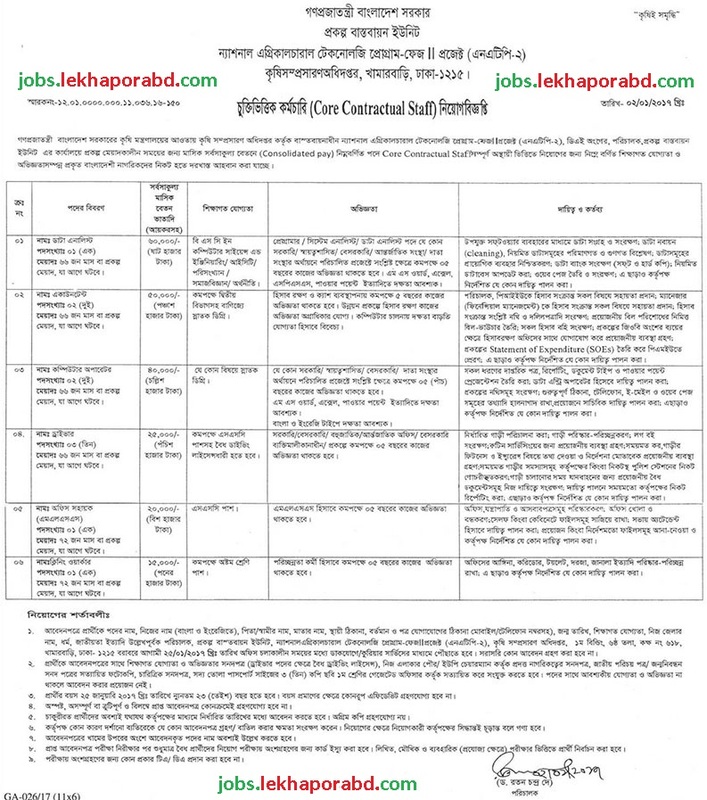 Ministry Of Agriculture Has Been Published A Great Career Opportunities. In according to This Job Circular, The Deadline For Apply This Job Is 25 Januaey 2017. To Know More Details Please See The Original Job Circular in Image File. The Image File Is Given Below. Ministry Of Agriculture is one of the leading Government Service Organization in the country.